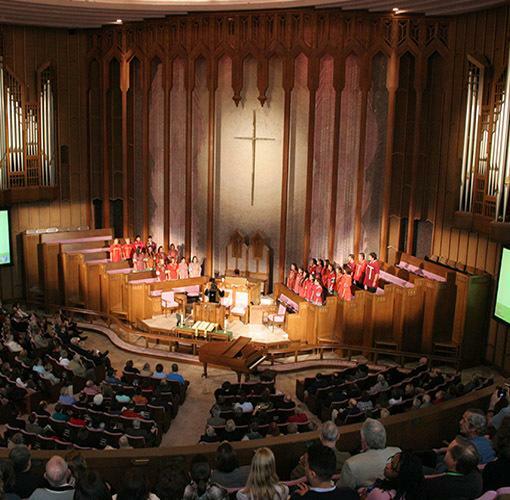 The Boston Avenue United Methodist Church, located in downtown Tulsa, Oklahoma was completed in 1929. It is considered to be one of the finest examples of ecclesiastical art deco architecture in the United States and has been designated by the Department of the Interior as a National Historic Landmark as well as listed on the National Register of Historic Places. Guided tours of the building are given every Sunday after the 11:00 worship service, beginning in the church library on the second floor. Guided tours can also be arranged during the week by calling the church office, 918.583.5181, or emailing Paula Gradney. Self-guided tours are also available any time the building is open, subject to room accessibility.